On April 7, 1862 at the famous civil war battle of Shiloh, Sam Houston, Jr., son of the famous Texan, was struck in the back by a bullet. He was knocked to the ground and would likely have died had it not been for his mother’s bible, which he carried in his knapsack. Did you know that the Bible teaches that the Word of God is our best defense against Satan’s attacks? Stay with us friends. We’re going to learn more as Amazing Facts brings you this edition of Bible Answers Live. Pastor Doug Batchelor: Good evening friends. You might be driving down the road listening via the satellite or some other radio transponder, but if you have a Bible question now is a good time to pick up your phone and give us a call. It's 1-800-GOD-SAYS, 1-800-463-7297 with your Bible questions. This is Bible Answers Live and that’s what we do, we try to do, answer your questions. We don’t have all the answers but we’ve got an assortment of Bibles in front of us and we’ll search together. One more time, are you ready? 1-800-463-7297with your Bible question. My name is Doug Batchelor. Pastor Jëan Ross: My name is Jëan Ross. Good evening listening friends. Pastor Doug, let’s begin the program with a word of prayer. Dear Father, once again we want to invite Your Presence to be with us as we study Your Word this evening. We ask a special blessing on those who are listening wherever they might be, and Father, we need wisdom here as we search the Scriptures for answers. For we ask this in Jesus’ name, amen. Pastor Jëan Ross: Well Pastor Doug, you opened the program by talking about a soldier whose life was spared literally by the Bible. Now, I’ve heard of numerous stories of soldiers whose lives have been spared by the Bible, but not only does the Bible spare a person or can spare a person, in this case literally; but, of course figuratively, the Bible can protect us from the assaults of the enemy, Satan. Pastor Doug Batchelor: You know, these stories, you were telling me another interesting one just before the broadcast where soldiers often carry Army-issued Bibles into battle with them. My dad, before he passed away, gave me his New Testament and Psalms that they gave in the Air Force in World War ll. So it wasn’t uncommon for them. In the heat of battle as many soldiers are hit, sometimes the Bible actually was a little bit of Christian Kevlar, so to speak. And then he goes on talking about prayer and the other implements of this armor. I know this sound like words and you might be thinking, "Well, how much good is that going to do me?" We really are involved in a war, and we’re called to be soldiers of Christ in that war. That’s how the Salvation Army got started. They were all soldiers of Christ. There really is an armor that we can put on by faith that protects us against the assaults of the devil. For instance, whenever Jesus was tempted, He quoted Scripture. The Scripture is called the sword of the Spirit, the Word of God. Matter of fact, I think three places in the Bible the Scriptures are referred to as a sword. So, if you'd like to know more about this armor, how you can get it, and put it on, we have a free book we’d like to make available. Pastor Jëan Ross: The book for this evening is, The Armor of God, and we’ll send it to you for free if you’d call our resource line and just ask for it. The number is 1-800-835-6747 and the book this evening is, The Armor of God, how can you withstand the assaults of your adversary, the devil. Again, that number is 1-800-835-6747and the book is entitled, The Armor of God. We’re going to go to the phone lines. Our first caller this evening is Craig and he’s listening in Des Moines, Iowa. Craig, welcome to the program. Craig: Yes, hello Pastor Doug. I talked to you folks a lot of times here. Pastor Doug Batchelor: Hi Craig. Pastor Doug Batchelor: How are you doing? Craig: Oh, I’m doing real good actually. Ah, the more I study the better I get. Pastor Doug Batchelor: Okay, and your question? Craig: Yeah, my question is at the end of Matthew. I think I just must have missed something, because at the end of Matthew 28:19 He says, “Go ye therefore..."
Craig: ...“and teach all nations, baptizing them in the name of the Father, and of the Son, and of the Holy Ghost.” So He’s commissioning His disciples to go out into the world to preach it to everybody. So, I must be missing something because why in, after Jesus is crucified, the disciples still aren’t preaching to the Gentiles at that time, I don’t think, until they--until like Peter had the vision with the sheets and all that, you know. Pastor Doug Batchelor: Well, that’s a good question because, first of all, they were not always listening carefully. Jesus told the disciples several times, "I’m going to Jerusalem, I’ll be betrayed, I’ll be crucified, I’ll rise the third day," but when it finally happened, they forgot. And likewise He said, "I want you to take the Gospel to all the world." Well at the time of Christ there were Jews scattered all over the world. They had been dispersed several times; and that’s why at Pentecost in chapter 2 it says, "Now there were dwelling in Jerusalem devout Jews out of every nation." So when Jesus said go into all the world, in their puny thinking they were thinking, "Oh, He wants us to go talk to the Jews that are scattered everywhere and tell them the Messiah has come." It wasn’t until about A.D. 34, following the stoning of Stephen, that through the vision that God gave Peter and some other things, Paul’s conversion, they finally really began to understand the Gospel is not just for the Jewish Nation, but it's to go everywhere. I mean, even though He says it in Matthew, "Go to all the world," He says it in Mark, I think it’s also in Luke. So, yeah, they were just slow comprehending what it meant, to go everywhere, that He meant it for everybody. Craig: Okay, that answers the question but just before I let you go, you and I were talking about a book that you're reading called, The True History of the English Bible. Craig: And I looked it up online because I was going to buy it because I’m interested in it and there are several books, but they’re written by different authors under the same title. I wondered if the one you have is by Patterson or Underwood? Pastor Doug Batchelor: Oh, Underwood sounds right, but it might not be either of them. Craig: Oh! Yeah, there are several online. It’s real confusing because it's the same exact title. Pastor Doug Batchelor: You look--and this one came out in '92 so if you look around that date you might find it. I'm pretty bad with names. If I had my iPad--I'm reading it on my iPad--if I had it with me I'd tell you right now, but I don't. Craig: No, that’s fine because there was a bunch of them that said what year they were put out, so I'll just look for that then. Pastor Doug Batchelor: Okay. Hey, thanks for calling. Oh by the way, you had a question about the--really it's when did the Gospel begin going to the Gentiles. That's that 70-week prophecy in Daniel, it talks about that. We have a lesson that talks about--is it God Sets a Date for the Judgment? Pastor Jëan Ross: Yes, that one covers that 70-year time period [cross talk]. Pastor Doug Batchelor: Prophecy, and what happens with the Jewish Nation. 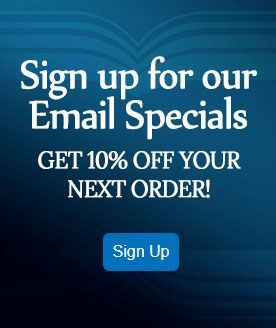 Pastor Jëan Ross: If you'd like to receive that for free Craig, or anyone wanting to learn more about the various time prophecies in the Bible, if you’ll call our resource line and ask for the study guide, God Sets a Date for the Judgment, we’ll be happy to send that out to you. Again the number is, 1-800-835-6747. If you’re close to your computer you can join us live here at the studio if you go to Live.AmazingFacts.org. You can join us here in the studio. Our next caller is Michael and he is listening from New Jersey. Michael, welcome to the program. Michael: Well Pastor Doug, Pastor Ross I truly thank you for your service. Pastor Doug Batchelor: Absolutely, thank you. Michael: And I want to ask you this question. Where does the legacy of Babylon begin in the Scriptures and what book in the Scriptures gives the most information on Babylon from beginning to end? Pastor Doug Batchelor: Alright. The first time you find "Babylon" it wasn’t called "Babylon." It was called "Babel." A lot of the names are shorter in Genesis. Jerusalem was called "Salem" in Genesis and later "Jeru-Shalom," but it begins in chapter 11 of Genesis as the Tower of Babel. That territory was rebuilt several times in Mesopotamia and Nebuchadnezzar is when the kingdom really became the greatest power. That’s when they reached their golden pinnacle; but you find Babylon also mentioned in Ezekiel 37. You find Babylon mentioned in Isaiah 14; and you find Babylon, of course, mentioned in Revelation chapters 17 and 18. It's the fall of Babylon. Michael: Nebuchadnezzar is in Daniel. Pastor Doug Batchelor: Well, yes. Matter of fact, Nebuchadnezzar wrote one book in the Bible. Most of chapter four of Daniel was written by Nebuchadnezzar so you’ll find a lot of reference to Babylon there. It talks about the fall of Babylon in Jeremiah near the end of his book when the Babylonians besieged the Israelites. So there’s a lot there. We’ve got a book. It’s a high octane book called, The Beast, the Dragon and the Woman, and that will talk to you about Babylon. You better wear a seat belt when you read it though. Pastor Jëan Ross: The book again is entitled, The Beast, the Dragon and the Woman. If you’ll call our resource line, 1-800-835-6747, you can ask for the book. Just one additional thought on Babylon. It’s interesting in the Bible you have the tale of two cities. In the Old Testament you’ve got the city of Jerusalem, which represents God’s people and God’s dwelling place; and then you have Babylon, who is the enemy of God’s people, representing this melting pot of false religion. And Jerusalem and Babylon play important themes throughout the Old Testament. And also, if you get into the New Testament, especially in the book of Revelation, they take on symbolic meaning. Pastor Doug Batchelor: Um-hm. Hey, appreciate your question Michael. Make sure and call for that book, The Beast, the Dragon and the Woman. Pastor Jëan Ross: Our next caller is Fred and he is listening from Connecticut. Fred, welcome to the program. Fred: Yes, thank you. I was wondering about the saying, "Teach a man to fish and he’ll eat for a lifetime." Is that a biblical inference or just a fortune cookie proverb? Pastor Doug Batchelor: Well, yeah. I think the proverb is something like, "Give a man a fish, you feed him for a day. Teach him to fish, you feed him for a lifetime." It’s probably a principle you would find other places in the Bible; the idea being it’s good to give something to somebody, but if you also teach them how to do it themselves, well then you don’t have to keep giving them a fish every day. You can teach them how to help themselves. I think probably there are some Proverbs that talk about industry and knowledge and wisdom, and when a person learns something that’s--"The fear of the Lord is the beginning of wisdom." In wisdom there’s strength, whether that wisdom is fishing or farming or whatever it might be. Are you there Fred? Fred: Yeah. It sounds like there was an inference to that in the Bible but the exact words, you know, I couldn’t quite find. Pastor Jëan Ross: That’s Matthew chapter 4, verse 19 is the verse. But I think that the specific proverb that you’re thinking of, I don't believe that wording is in the Bible, but there are many other proverbs that have their root in Scripture. For example, "saved by the skin of your teeth," the phrase “skin of your teeth” is a biblical phrase. You have “the handwriting on the wall” coming from the downfall of Babylon. Pastor Jëan Ross: “At your wits end,” yes. Quite a few. Pastor Doug Batchelor: Yup. I was surprised how many there are, "going the second mile,” so forth. Yeah, I hope that helps Fred. That proverb you're quoting, it might be actually Benjamin Franklin. It might have come from Poor Richard’s Almanac. He was filled with witty parables like that, or one-liner’s. Appreciate that, hope that helps a little. Pastor Jëan Ross: Our next caller is Darrell and he’ listening from Florida on the Internet. Darrell, welcome to the program. Darrell: Hey everybody. My question tonight is what is the next prophecy to look out for in the prophetic time line? Because I’ve heard some theologians say it’s like the destruction of Damascus and Syria; and then I know you all have talked about that there has to be a law made of worshiping God on the first day of the week. And so, yeah, I was just wanting to know what's your take on that? Pastor Doug Batchelor: What’s the next likely thing to happen in the continuum of prophecy? Well, I think there’s going to be--and I will confess I don’t know what will trigger it--I don’t know if it’s going to be a natural disaster or if it’s going to be an economic meltdown. Just on the news last night I saw that in Greece they had another major protest. It’s just getting bigger and the country is basically bankrupt and they are grappling with that. But what led to Greece’s bankruptcy is happening in several countries right now, and there could be a domino effect. Every dictatorship historically, whether it’s Hitler, Kaiser Wilhelm, Napoleon, they all came into power on the heels of an economic disaster. Now, it’s very likely that an economic disaster will be connected with the beast power because it talks about not buying and selling. 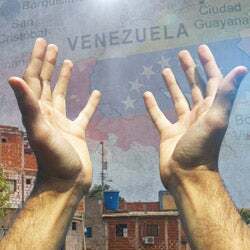 Just the fact it mentions buying and selling, there’s some kind of economic sanction if you don’t worship the way this new international confederacy is going to tell people to worship. I think the planet is going to be driven by fear; and so when exactly that’s going to happen or whether it’s going to be triggered by natural disaster or famine, can accelerate an economic disaster. So I don’t know exactly what the next thing is going to be, but we’ve got a bunch of resources that talk about where we are prophetically. Like if you look in Daniel chapter 2, prophetically we’re at the ten toes right now. If you look at Daniel chapters 8 and 9, it’s telling us that we’re in the time of the end. So, something major is about to happen and it’s going to be, I think, global in nature. As far as the destruction of Syria and Damascus, I think that prophecy that someone may be alluding to is actually an Old Testament prophecy, and that already happened. So it was talking about retaliation against Damascus, and that happened back even before the time of Christ. I’d recommend you look at Bible Prophecy Truth, and at Bible Prophecy Truth are a lot of prophetic resources there, and that might be of some use Darrell. Pastor Jëan Ross: Again, that website is BibleProphecyTruth.com. If you’d like to get your Bible question on the program this evening, we have a few lines that are open at the moment. The number to call here to the studio is1-800-463-7297. That's 1-800-GOD-SAYS. We have Tim who is listening in San Antonio, Texas. Tim, welcome to the program. Tim: Hi, how are you doing? Tim: Hello Doug, how are you doing? Pastor Doug Batchelor: Great, and your question? Tim: Yeah, this is Tim, the street evangelist. My question was what’s the greatest witnessing text that has an impact on your life? If people want to know that God is real, they need to invest a little bit in looking for Him. Everybody wants to be wanted, and God’s says, "Ask, seek, knock." If we make an effort to search for Him He wants to reveal Himself to us. So with some people I’d start there; with other people I might just say, "The Bible says God loves you," and that, "God is love." So it varies with the state of where a person is. I heard an interesting story that Spurgeon, the great preacher, went into an auditorium where he was going to speak one day. He went in early to test the acoustics because they had no electric PA system back then. He just called out John 3:16. He just said it real loud and later that day someone came forward and said, "I wanted to thank you for your words that you spoke this morning." And he said, "This morning? I didn’t preach this morning." He said, "Oh well, when you came in to test the acoustics I was cleaning in the back. You said John 3:16 and I knelt down and gave my heart to the Lord." Just that one verse is what that man needed to hear. So, it’s hard to say exactly what that perfect verse is for each person. That’s why there are several in the Bible. What’s your favorite Jëan? Pastor Jëan Ross: Well I’m just thinking which one I would choose. I guess, depending upon various situations which one, but one of my favorites--well there are many--but one that I like is where we have the promise, "If we confess our sins, He is faithful and just to forgive us and to cleanse us from all unrighteousness." Sometimes people need hope, and if you share with them that passage of Scripture, 1st John 1, verse 9, that gives people courage and hope. Pastor Doug Batchelor: Yup. Well, hope that helps a little bit Tim. What’s your favorite one? Pastor Doug Batchelor: That’s great. Tim: But here’s a movie, just watch "Late One Night" on YouTube, "Late One Night." It’s only 33 minutes. It’s a great movie. So, God Bless you. Pastor Doug Batchelor: Alright. God Bless you, thanks Tim. Bye-bye. Pastor Jëan Ross: The next caller is Anthony and he’s listening from Huntsville, Alabama. Anthony, welcome to the program. Anthony: Good evening, how are you doing? Anthony: Alright. I have a question. A lot of people are referencing Leviticus 26:18. And I was wondering is Leviticus 26:18, is that a prophecy or is it not? Pastor Doug Batchelor: I tell you what, let us go there real quick. Leviticus 26:18? Pastor Doug Batchelor: Hang one second. It says, “And if you will not yet for all this hearken unto me, I will punish you seven times more for your sins.” I wouldn’t call that a time prophecy. I think it’s using the word "seven" in the same way that Jesus said forgive someone seventy times seven. It says a righteous man falls seven times and rises again. In Job it says, “He will deliver you in six troubles: yea, in seven no evil will harm you.” Seven was sort of a metaphorical way of talking about the justice of God biblically. So, let me give you another example. In Daniel chapter 3, when Shadrach, Meshach and Abednego would not bow down and worship the golden image, the king said to heat up the furnace seven times hotter than it was supposed to be heated. And so it says here, "I’ll punish you seven times more for your sins." Jesus said that if a man casts out a devil, if he doesn’t replace it with something better that old devil comes back with seven other devils worse than himself. So, seven here is connected with perfect judgment so I wouldn’t connect it with a specific time prophecy. Are you there? Anthony: Alright. I appreciate it. Yes, I’m here. Thank you. Pastor Doug Batchelor: Yeah, thank you very much Anthony. Thanks for calling in with your question. I don’t know if we have a chance; we've got two minutes, can we do a quick one? Pastor Jëan Ross: Alright, we have Jay listening in New York, WMCA. Jay, welcome to the program. Jay: Oh welcome. Somebody mentioned, you know, like, teach a man to fish and he’ll eat for a lifetime? Jay: That’s actually in the Book of the Maccabees. So, in a sense, it’s in the Catholic bible. Pastor Doug Batchelor: Oh you know, I appreciate that. What does it say? Jay: No, it says, "Give a man a fish and he’ll eat for a day. Teach a man to fish and he’ll eat for a lifetime." 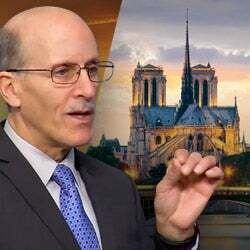 Pastor Doug Batchelor: And that's in the Maccabees? Jay: Yeah, because you know Mel Gibson wants to make a movie out of the Book of the Maccabees. Pastor Doug Batchelor: No, I didn’t know that. I appreciate your calling and telling me that. I thought it was Benjamin Franklin, but maybe Ben Franklin was quoting from the Maccabees, so you never know. Pastor Jëan Ross: It’s a popular proverb so it has probably been repeated oft, but I didn’t know that either. So that's kind of the source. Pastor Doug Batchelor: And friends, you know what? We probably ought to do something about that, but I don’t even have any of the apocryphal books on my computer. I suppose they’re online. Hey, thank you very much Jay. You know friends, we've just got a minute before our break and so before we go to our break, we’d like to just talk to you about some of the other things that Amazing Facts has available. You know, this program is a good opportunity for us to use it as a springboard to talk about a number of other sites. For instance, you’ve heard us reference that we’ve got the Bible Prophecy Truth website. I was just talking to our office today and they said we get about six million people a year going to the spectrum of Amazing Facts' websites. Of course, we have websites in Chinese, in Spanish; and I don’t know if that even takes in all the different YouTube's that people are looking at. But among those things we’ve got a website called 666 Truth. We had a question tonight about the beast and the mark of the beast, and so one of the things a person might do is to go there. And of course, the Amazing Facts' website itself has been completely revamped to make it easy to use. So that, of course, is simply AmazingFacts.org, a whole lot of great information there. You’re listening to Bible Answers Live. Pastor Jëan Ross: You know Pastor Doug, Amazing Facts not only does radio broadcasts, it also has a publishing department. It also has a training component. It also has a public seminar component. But one of the things that Amazing Facts does and is very much committed to is television broadcasting. We’ve got a website called AmazingFacts.tv, which is actually a direct feed of our satellite channel, Amazing Facts TV. Pastor Doug Batchelor: People can watch Amazing Facts Television 24 hours a day anywhere in the world via the Internet. If you’re in North America, a person can get the GloryStar satellite package and they can get not only Amazing Facts 24 hours a day on television, but there’s a plethora of other Christian channels there as well. So if a person doesn’t want to be inundated with all the other secular television, they might consider looking at the GloryStar satellite package. I was just at our cabin up in the woods and it's nice being able to watch Christian television up there. Hey friends, I think you can tell from the music it’s getting close to break time, but we’re going to come back and take more Bible questions. So call in with your questions now. Pastor Doug Batchelor: Welcome back listening friends. This is Bible Answers Live. For those who have come on board along the way it’s a live, international, interactive Bible study where you can call in with your Bible questions. I see a couple lines still open and that number, 1-800-463-7297, that's 1-800-GOD-SAYS; 1-800-463-7297 will bring your Bible question into our live studio. My name is Doug Batchelor. Pastor Jëan Ross: My name is Jëan Ross. Pastor Doug, we’re going to go straight to the phone lines. Our next caller is Sonya and she’s listening in South Carolina. Sonya, welcome to the program. Sonya: okay. I have a struggle here with 2nd Thessalonians 2, verses 10 to 12 and Hebrews 10:26. Pastor Doug Batchelor: Sure, let me read it for our listeners because they don’t all know what we’re talking about. Is that okay? Pastor Doug Batchelor: In 2nd Thessalonians 2:10-12, "And with all deceivableness of unrighteousness in them that perish; because they receive not the love of the truth that they might be saved. And for this cause God shall send them strong delusion, that they should believe a lie: That they all might be damned who believed not the truth, but had pleasure in unrighteousness." [KJV] Okay? Pastor Doug Batchelor: Alright, so what particular is your question on that? Sonya: Okay, my question is when I read this, to me it seems like I wouldn’t have a chance, right? I am doomed right here with these verses. But then I go and read in Joel 2:12-13 and it gives you a different--like a chance, that you do have a chance. Pastor Doug Batchelor: All who call on the name of the Lord shall be saved. Sonya: Yes. No, it says, Therefore also know, says the Lord, turn ye to Me with all your heart and with fasting and mourning and with weeping, and rend not your heart, and not your uh, render not your heart, but your garments. I have it mixed up. Pastor Doug Batchelor: Yeah, it's rend not your garments but rend your heart, yeah. Sonya: ...and, Turn unto the LORD your God: for He is gracious and merciful, and slow to anger. But then, you know, this is giving me, like, “Oh”; but then in these two other verses, for me it's like it doesn’t give me an, “Oh”. Pastor Doug Batchelor: Well yeah, some of the verses are a warning. The warning in 2nd Thessalonians is if a person does not receive the love of the truth, then when you reject the love of the truth the only thing that is left is error. God then is allowing them to believe a lie that they might be destroyed because they did not love the truth; but it sounds to me like you love the truth so I don’t know why that would discourage you. Then it’s saying in Hebrews 26 that if we continue to sin willfully, that word there “sin” means a continuing, if we continue to sin willfully. In other words, if we’re going to live in open rebellion and it’s talking about a specific sin--in other words, if you know something is wrong and you say, "I don’t care, I want to keep doing it. I know it’s wrong," well that is dangerous. That’s kind of an open, high-handed rebellion against the will of God. God is merciful. He’s very patient. But if we continue to willfully sin knowing what God’s will is, the only thing left is punishment for sin. So, that’s a good warning, but that shouldn’t discourage you because it sounds like you want to be saved from your sins. Pastor Jëan Ross: Well, we have that promise if we confess our sins, He is faithful and just to forgive us and cleanse us; and if we’re trusting in Jesus surrendering ourselves to Him, He will work within us. I think the warning is, as Pastor Doug mentioned, is if we, in an attitude of rebellion against God where we don’t even want to do what God is asking us to do, we don’t really care, that’s a very dangerous position to be in. But if we’re confessing and trusting and holding onto Christ, we’re in the right place. Pastor Doug Batchelor: You know, there’s a book, Sonya, that we can send you for free. It’s called, “Is it Easier to be Saved or Lost?” If you’ll call our resource number, I think that book will go just right along with your questions and your concerns. I think it will bring you some real comfort, too. Pastor Jëan Ross: The number for our resource line is 1-800-835-6747 and the book, “Is it Easier to be Saved or Lost?” If you ask for that we'll be happy to send that to you, Sonya, or for anyone who calls and requests the book. Our next caller is Michael and he is listening from Mississippi. Michael, welcome to the program. Michael: Yeah, I had a question. It’s based on Jesus when He was a youngster around twelve years old when He was in the temple. Through the commotion and all Mary and they all kind of lost Him and they didn’t know where He was. They found Him in the temple and you know how He stated the fact that, You know, woman, I’m about my Father’s business? Michael: My question was do you think maybe, because of Jewish customs and all because Jesus was fully Jewish, that was around His bar mitzvah and He had become a man and, obviously, we know He was speaking about the Father in Heaven, but do you think maybe, you know, because He was becoming a man and kind of losing a child being bound under His mother, if that was kind of a bar mitzvah period maybe for Him? Pastor Doug Batchelor: Yeah, I think you’re on the right track. Now for the Jewish people today typically for a boy the bar mitzvah is around thirteen, but back in the time of Christ it may have been around 12 years of age, and something's happening here. By the way, the story you're referring to is Luke chapter 2 and starts verse 43 through 48. You know, that might be the time--people have wondered, "At what point in Jesus’ life did He realize that He was the Son of God and that He had a unique mission?" Obviously when He was cooing and gurgling in the manger as a little baby, I doubt that He was aware of what His mission was. But at this point, when He went into the temple He knew that God had called Him to something unique and He was able to comprehend. Some have wondered, "Is this when a person reaches the age of accountability?" It’s usually sometime between 10 and 12 or 13, that they start really understanding the claims of the Gospel and how important it is. Of course, it's connected with the physical transition into being a man or a woman is about that same time. So, I think all of that was happening together in the life of Jesus, and I think the Father at the Passover feast revealed to Him what His mission was. That’s why He said to Joseph,”Wist ye not I must be about My Father’s business?” He knew that His true Father was God at that point. Michael: Well relative to that, if He was coming to an understanding there, do you think the same thing to another step was taking place on the Mount of Transfiguration with Elijah and Moses? Maybe they were telling Him some things that were about to happen that He may not quite have known because of His earthly self? 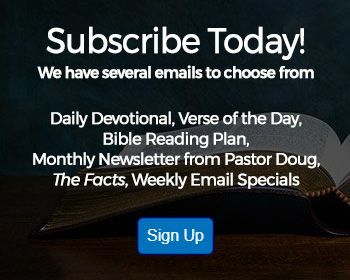 Pastor Doug Batchelor: Well you know, it is true that during the story of the Mount of Transfiguration it says that Moses and Elijah spoke to Him of His decease He was about to accomplish in Jerusalem; so it tells you very plainly in the Bible that they were talking to Him about His sacrifice. Exactly what the nature of their paragraphs and sentences were the Bible doesn’t record, but it tells us what the theme of their discussion was. Jesus was about to go through the whole cross experience and I suppose Moses and Elijah were there to encourage Him. After all, they were in heaven because of Jesus’ sacrifice that He hadn’t performed yet, so they were probably highly motivated that He go through with it. Nobody is going to heaven because of their works. They're all saved because of Christ. Hey, appreciate that. By the way Michael, I do have book called, The Two Witnesses, and it talks about the Mount of Transfiguration and that experience. We’ll send you a free copy. Pastor Jëan Ross: The number to call for our resource line is 1-800-835-6747 and the book is entitled, The Two Witnesses. If you’d call and ask for that, we’d be happy to send that to anyone. Again, the number is 1-800-835-6747. We have Jeff who is listening in Iowa. Jeff, welcome to the program. Jeff: Doing fine. I had question on when Jesus talked the Pharisees and they were trying to trip him up. They asked Him if a man has a wife and dies and his brother takes her and he dies and his brother takes her, and so forth, and they go to heaven, who shall have her in marriage? He tells them whereas the angels, who do not marry or are given in marriage, in heaven.... When we come back to the 1,000-year reign, would we marry then? Pastor Doug Batchelor: Well, this is an interesting question. Jesus is pretty clear that in heaven, they neither marry nor are they given in marriage. But what happens like to Adam and Eve, in the event that you've got a couple that are married? They have a normal relationship, they don’t get remarried or have a harem of wives, does God give them divorce papers when they get to heaven? Now, He says He hates divorce. I think in the cases where you have a normal uninterrupted marriage here on earth there’s no reason that God is going to tell them, "You're now separated in heaven." If they love each other, they could probably build a new house together in the new earth. In the cases like David, who had a whole harem of wives; or his son, Solomon, whom I also expect to see in heaven, who had 300 concubines and 700 wives, I don’t think he’s going to be married to any one particular woman in heaven or any woman to him. So there will probably be no new marriages in heaven, because God told Adam and Eve to be fruitful and fill the earth. Well the earth is going to be populated with the redeemed. If the saved continued to marry and procreate and have children, it wouldn’t be very long before they'd be spilling off the planet. I’m trying to think. You know, I don’t know that we’ve got a book that specifically talks about that but, well, I’ve got a book about marriage. So I don’t think there'll be new marriages in heaven, but I don’t necessarily think a couple is going to be forced to separate if they've had a normal, healthy marriage down here. Thank you for your question. Jeff: But what about in the 1,000-year reign, will they be married then? Will there be marriage and birth on the earth? Pastor Doug Batchelor: No, I don’t think so. Well first of all, during the 1,000 years we're not on the earth. That's what we ought to be sending you. When Christ comes back it says we’re caught up to meet Him in the air. And He says, "I’ve gone to prepare a place for you. When I come again I’ll bring you to where these places are." We live and reign with Christ for 1,000 years in His Kingdom. At the end of the 1,000 years the New Jerusalem descends. We will send you our study guide on the subject of A 1,000 Years of Peace just for asking. Pastor Jëan Ross: The number to call for that is 1-800-835-6747and the study guide is entitled, A 1000 Years of Peace. By the way, just one additional thing on that where Jesus is referring to not getting married in heaven, He says, “For in the resurrection they shall neither marry, nor are given in marriage.” The resurrection takes place at the second coming of Christ and so that would be applicable then to the 1,000 years as well. Pastor Jëan Ross: Our next caller is Roberto and he is listening from New Jersey. Roberto, welcome to the program. Roberto: Good evening, good evening. My question is about the state of the dead. What particular passages of Scripture did you find--would a person find--to be able to communicate with the dead, and if there are some instances in the Bible in the past where that happened? Could you please shed some light on those Scriptures, because I really need it right about now. Pastor Doug Batchelor: Alright, well in Isaiah chapter 8, it tells us not to try to communicate with the dead because the Bible forbids necromancy and channeling. He says, "According to the law and the testimony, if they speak not according to this word, there is no light in them." So, for instance Isaiah 8:19, “And when they say unto you, Seek unto them that have familiar spirits,” those are channelers that communicate with the dead, “and unto wizards that peep, and mutter: should not a people seek unto their God? for the living to the dead?” In other words, why would the living want to talk to the dead? To the law and the testimony, if they speak not according to this word it's because there’s no light in them. There is a case in the Bible where someone did go to a witch and try and communicate with the dead, and they died the next day by suicide. God said don’t do it; and the witches conjured up an evil spirit that impersonated somebody. See, devils can impersonate people and Satan can be transformed into an angel of light. What is that, 2nd Corinthians 11? Pastor Jëan Ross: 2nd Corinthians chapter 11, verse 14. Pastor Jëan Ross: "Satan himself is transformed," or can transform, "himself to an angel of light; therefore, it is no great thing for his ministers also to transform themselves into ministers of righteousness." Pastor Doug Batchelor: Yeah. And then again, Revelation tells us that the three unclean spirits come out of the mouth of the beast, dragon and false prophet, to go forth to the kings of the earth. They do signs and wonders. It talks about lying spirits and performing miracles. So, the devil and his spirits can pretend to be, or masquerade as, the spirits of the dead or ghosts and communicate lies to people that will deceive them greatly. You know what's amazing to me is so many TV programs about ghosts these days and everyone will watch those. They’ll sit on the edge of their seat and listen to all of these goofy episodes about, "Oh, I felt the presence and that chair moved," and all this strange stuff. They get all excited about that, but if you read the Bible to them they just say, "Oh well, no. That’s just the Bible." But they’ll believe all these goofy stories about ghosts. Sorry, that's just an observation. Roberto: The reason I asked that because it’s important, because earlier today I was speaking to my friend, we had a candid conversation. He does volunteer work for the food bank. All of a sudden this person came up to him with dark shades and he refused to take his dark glasses off. He talked about, you know, he told his name and what he did (unintelligible), and I know this person had died earlier this year, in January [cross talk]. Pastor Doug Batchelor: Yeah, well, he either had an optical illusion, or he had a satanic power masquerading as somebody. I don’t know exactly what happened, but I know that the dead are dead. Pastor Jëan Ross: You know, we have website that talks about the subject of death, what happens when a person dies. It's an important biblical truth that people need to understand. For anyone wanting to learn more, if you just go to, DeathTruth.com, we have a very in-depth Bible study on this important subject. 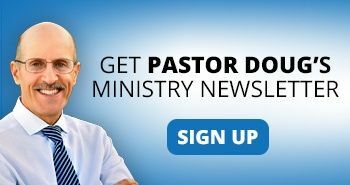 Pastor Doug Batchelor: Now, in connection with that we have a website called, GhostTruth.com. For people that are wondering about, "What about all of these ghost stories? What does this mean? What does the Bible have to say about that?" I encourage you to send that to anybody who is struggling with that issue. Hey, thank you very much for your call, and who do we have lined up next? Pastor Jëan Ross: We've got Bradley who is listening from Grand Rapids, Michigan. Bradley, welcome to the program. Pastor Doug Batchelor: Hello Bradley! Yeah, get real close to your phone. Bradley: Okay, can you hear me? Pastor Doug Batchelor: That’s better, and your question? Bradley: It’s about the parable of the prodigal son. Could you also apply that to the fallen angels, maybe a last final appeal for them to repent? Pastor Doug Batchelor: Well, there may have been a time, I’m sure there was, God is so merciful and patient. We don’t know how long Lucifer’s rebellion went on before God finally cast him out of heaven. And some of the angels may have first been inclined to follow Lucifer, but returned their allegiance to the Lord before they reached that point of no return; but as I mentioned, Satan and his angels have reached that point of no return. The Holy Spirit has been withdrawn from them. Bradley: No. No, up until the time of the cross, I heard Pastor Ross say Satan was cast out of heaven and then at the cross he was cast down. So I was thinking up until that time of the cross maybe they had a chance to repent. Pastor Doug Batchelor: Well, I’ll let him speak for himself. Pastor Jëan Ross: Well, I’ve got a verse here. Second Peter chapter 2, verse 4 says, “For God did not spare the angels that sinned, but cast them down to hell, and delivered them into chains of darkness, to be reserved for judgment." So at this point in time when they rebelled against God, we know the great controversy began in heaven. There was war. I think there was a period of time before the angels were cast out that there was possibly a time when the angels that had first listened to Satan’s lies could have, perhaps, repented of that. But at some point in time when they were cast out, finally when they were cast out of heaven, it appears as though their decision was final. And they are now reserved in chains - the Bible describes "spiritual chains of darkness for judgment." Pastor Doug Batchelor: And they know that, too, because several times angels, or demon-possessed people, fallen angels spoke and they said, "Have you come to judge us before the time?" So they know their doom is approaching. It says in Revelation 12 that Satan has come down with great wrath because he knows his time is short. They are on death row and their appeals have run out. Pastor Jëan Ross: Now, what I mean specifically then in Revelation 12 where it talks about Satan being cast down at the cross, he lost dominion of this earth and Christ took over dominion at the cross. Satan no longer is the representative of earth. Christ is now the representative. He is the second Adam. So in that sense Satan was cast out. But their probationary time had ended long before. Pastor Doug Batchelor: Yeah, that’s right. Hope that helps you a little bit, and we've got time for maybe one or two more. Pastor Jëan Ross: We have Jose who is listening from Massachusetts. Jose, welcome to the program. Jose: Yeah I have a question. I have a daughter, and I just wanted to know is it wrong for me to say that dolls or toys of any graven image, are they modern day idols? Pastor Doug Batchelor: Well, [laughing] you know, I’m only laughing because I asked myself that question one time. I think I’ve kind of come to believe that, you know, you just educate your kids on what the difference is between worshiping something and having a toy. I think there is a built-in, maternal instinct for little girls where they'll either mother the kitten or they’re going to mother a rock and a stick, but they’re going to find something. And so, you know, I don't find a problem with you giving them a doll. Just--you've got to let them know now, they do a lot of make believe. So, it wouldn’t be a problem for me. I think it could be extreme if you tell every little girl that you can’t have a little rag doll. I don’t know. What do you think Pastor Ross? Pastor Doug Batchelor: My girls are all much too old for me to be worried about that. You've still got one at home. Pastor Jëan Ross: I think there is a difference between playing with a toy and worshiping a doll or worshiping an image; and I don’t think most children, when they do play with their toys, are thinking in the realm of worship. Pastor Doug Batchelor: They're usually are not praying to them. Pastor Jëan Ross: Yeah, yeah. I mean, if they are, then that’s a whole different story [cross talk]. Pastor Doug Batchelor: You would have to have a talk with them. Pastor Doug Batchelor: So, yeah. There are so many other issues to worry about with kids these days that I wouldn't die on that mountain. Hope that helps a little bit. I don't know if we can give you a verse for that, but I don’t know any verse on dolls really. Pastor Jëan Ross: Not in the book, huh? Pastor Jëan Ross: Okay. Our next caller is Eric and he’s listening from Little Falls, Minnesota. Eric, welcome to the program. Pastor Doug Batchelor: Okay, we've got--go ahead. Eric: My question is where do you draw the line? Pastor Doug Batchelor: Alright. I’m just trying to rush along because we’re going to run out of time. It was not John. Actually, it was Peter in Acts chapter 10 that has the vision I think you’re talking about. In the vision, he never does take anything out of this sheet that comes down. It’s hard to eat a vision for one thing. And he says, "Not so, Lord; for I have never eaten anything common or unclean." In interpreting that vision later to the church, Peter said point blank, He said, "God has shown me not to call any man unclean." The whole vision had nothing to do with animals. It had to do with not calling the Gentiles unclean. In the earlier dispute, there was a lot of discussion in the early church and the debate was over the issue of eating things that had been offered to idols. It really didn’t have anything to do with what the food was. It had to do with should you eat something, whether it’s a goat or a sheep or a chicken, should you eat something that has been offered to an idol in one of the many pagan butcher shops that they had around the Roman Empire. So that was the big discussion. There was no discussion anywhere in the New Testament, "Should we eat pork or should we not eat pork?" And the Bible is pretty clear that certain things are unclean, and there’s no record of them being declared clean in the Bible. That’s why many Christians, Jews, Muslims around the world still follow these laws because they go back way before Jews. They go back to Noah, who we all are related to. Hey listening friends, we’ve run out of time for tonight's program. This happens, every week we run out of time. But we’d love to hear from you. I really mean it. If you’re listening, the only way to know is if you call in your question, or go to the website. It's just AmazingFacts.org. Click where it says, Contact Us. Say hello, tell us what you think. If you want to help us stay on the air, we really appreciate it. By the way, it’s almost Christmas. God Bless friends and we’ll talk together next week.